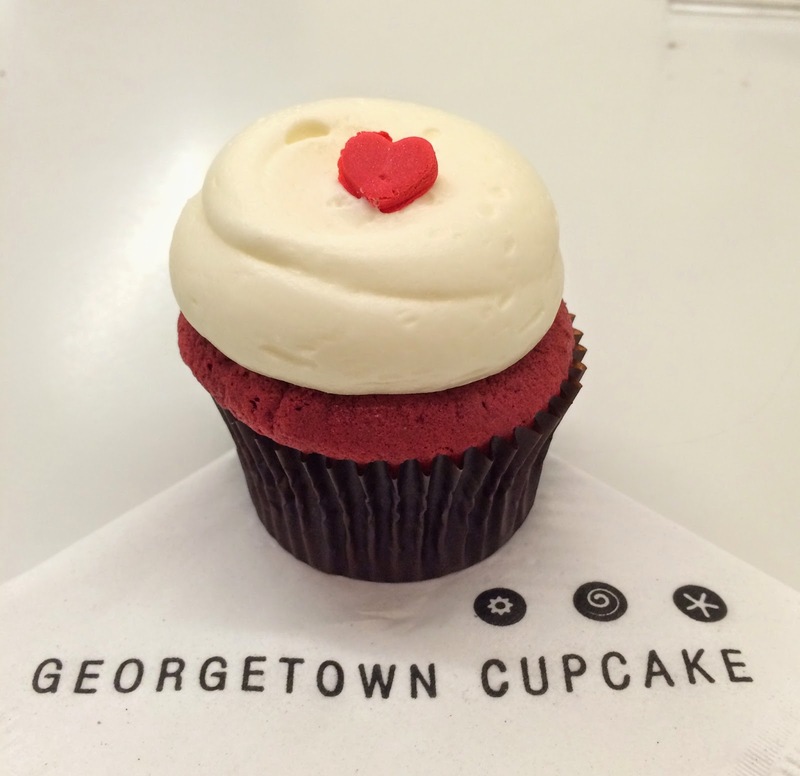 I researched some good cupcake shops in NYC and one of them I found was "Georgetown Cupcake" in Times Square and SoHo, but this cupcake shop is originally from Washington D.C. and there're several shops in the states. 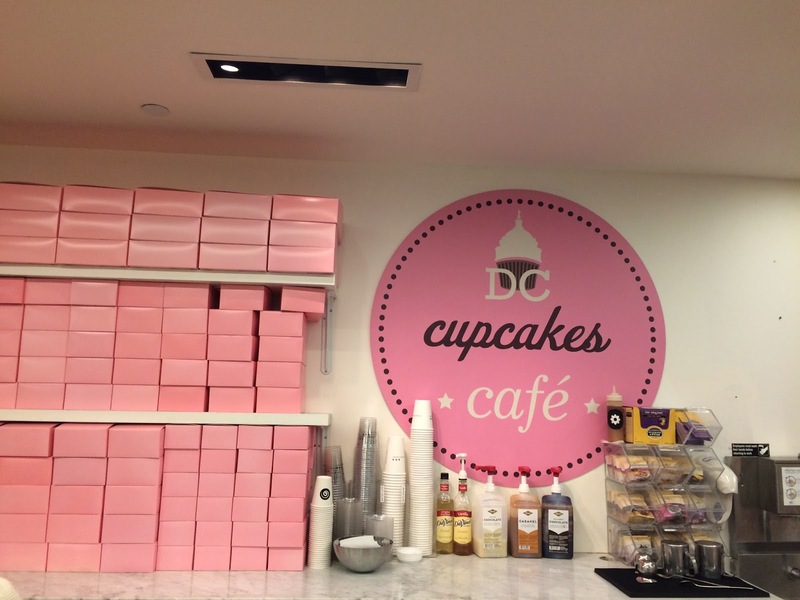 "DC Cupcakes" is a reality TV show about Georgetown Cupcake, but till I searched the name, I didn't know what it means. 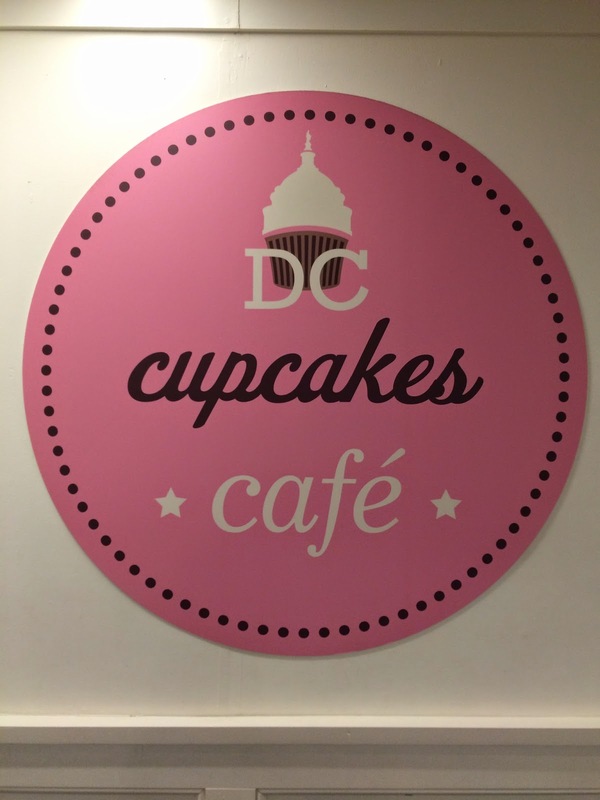 The frosting on the cupcake was shaped in the Capital Building in D.C. There're only 5 different flavors though the HP shows a lot, but I guess this isn't really their shop but a rent space, they can't do that much (to bake or display). 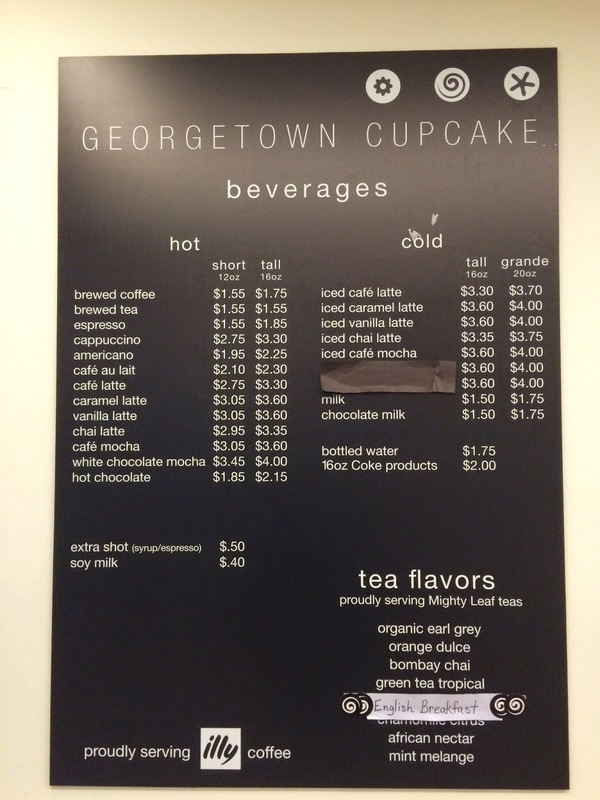 More drink menus than cupcakes. 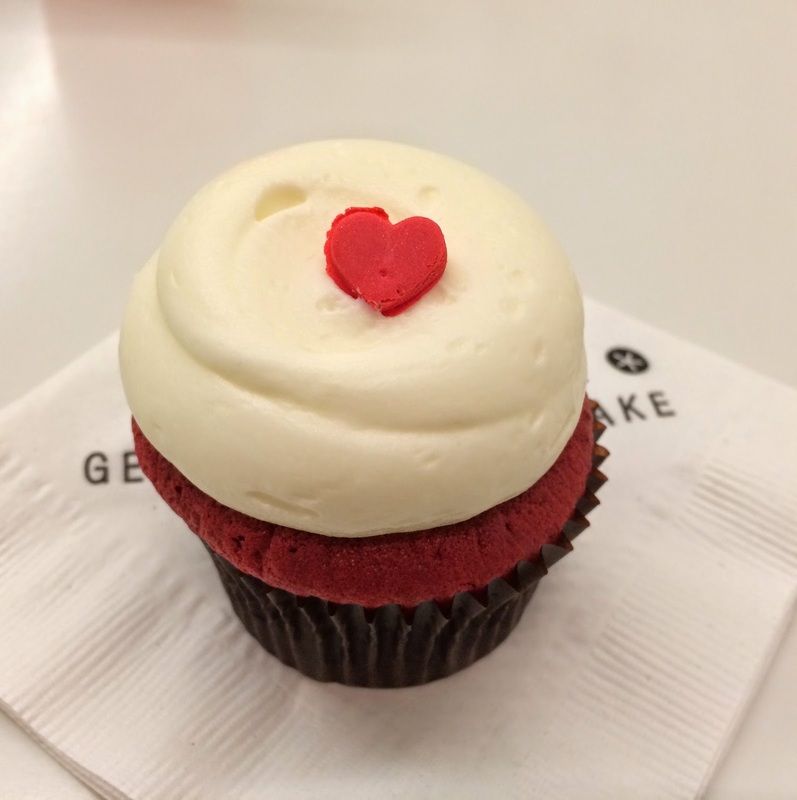 I decided to get a orthodox and every-cake-shop-has-it flavor, Red Velvet. 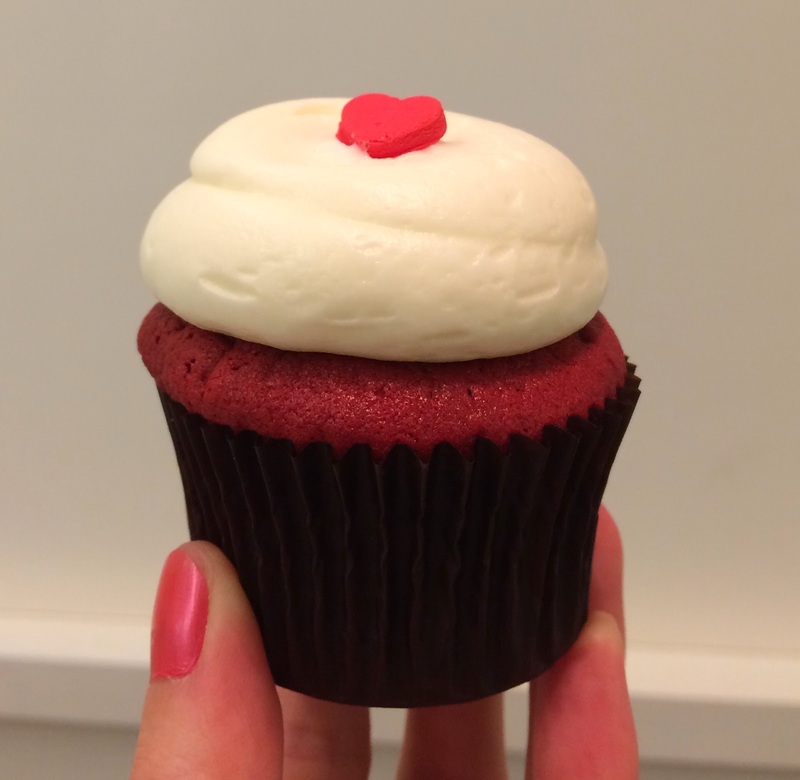 I'd call it a "modest size" as it's much smaller than other cupcakes I've had in the states. Maybe the diameter was about 6 - 7cm (2.4 - 2.8 inch), and the height was about 8cm (3.15 inch) tall. 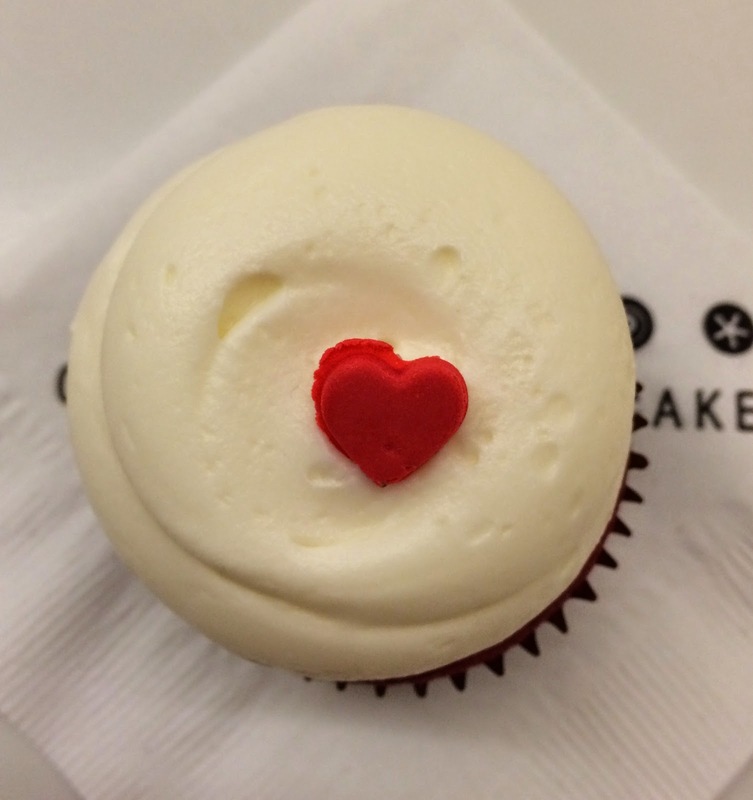 A little red heart was edible and it's slightly chewy. The frosting was cream cheese and it had refreshing lemon scent. 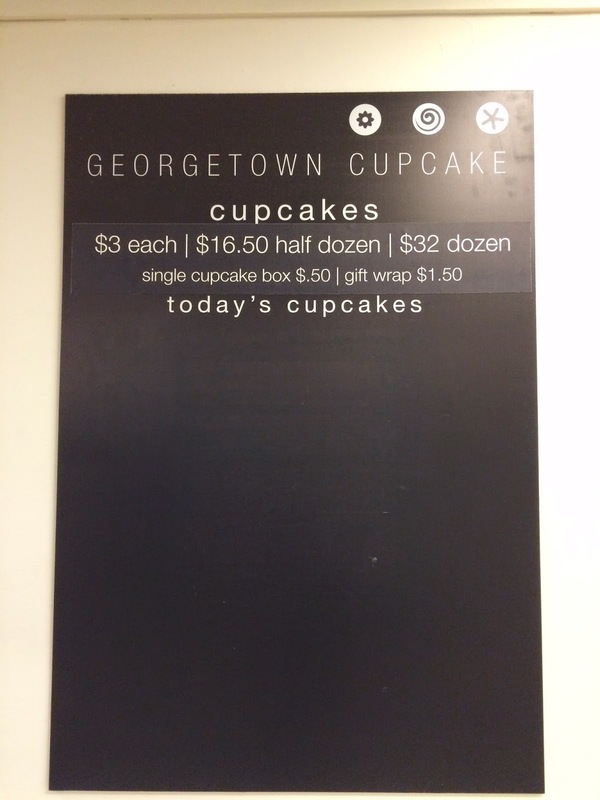 Also, this frosting was the best so far I've had. The surface was a bit dry and crunchy but the texture was fine, and the inside was moist and though it's cream cheese, it's fluffy, airy, and creamy. 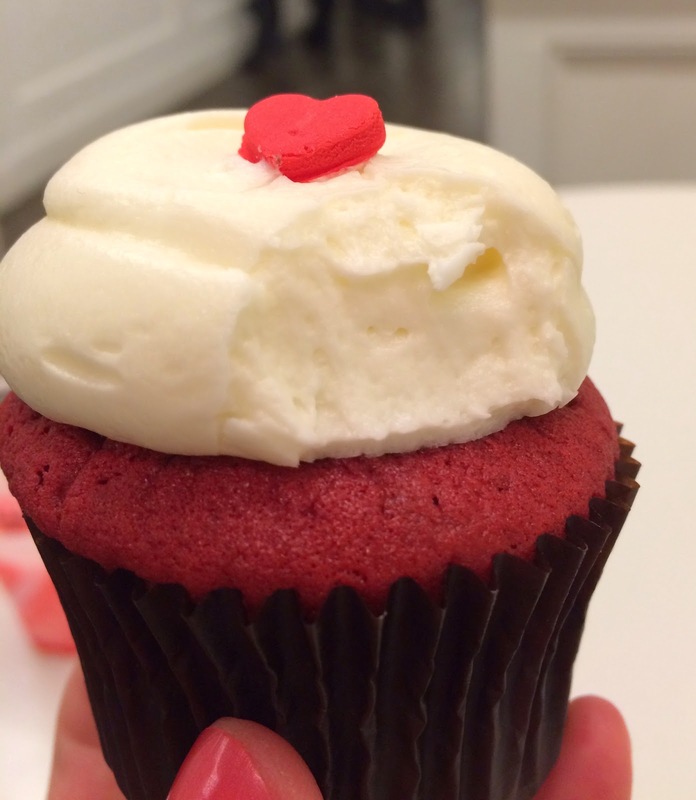 I usually scrape off most of the frosting as it's just too much, too sweet or too oily, but this frosting was exception and I really loved it. 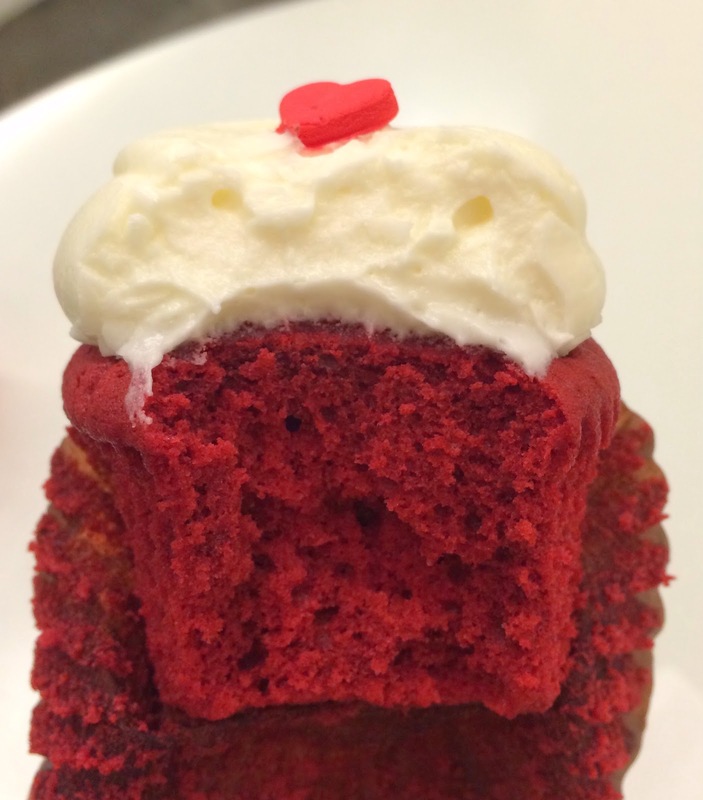 The cake was moist, but the texture was dense like a bread, and not that soft. However, it's not dried or not firm, and I liked this cake also. 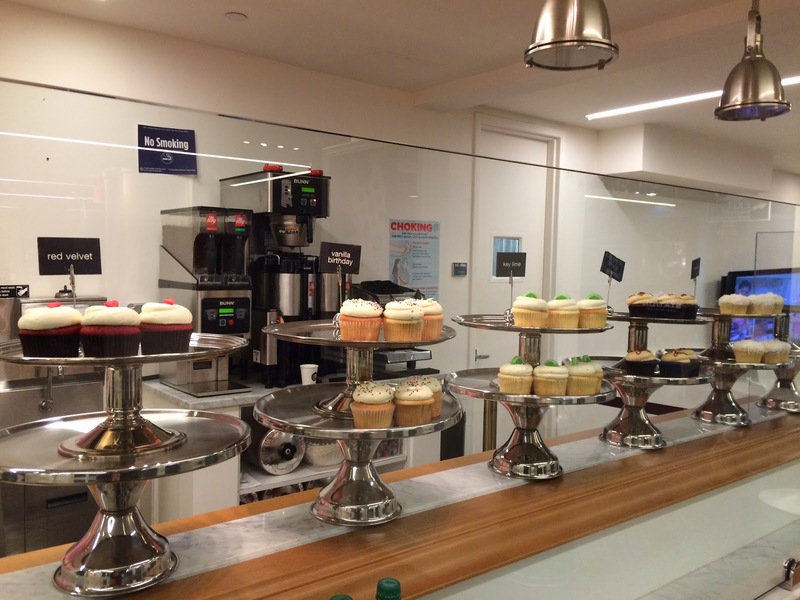 I'm interested in trying other cupcakes, but I may need to go to SoHo branch to choose from more varieties.